Security cameras with built-in microphone are hard to find. 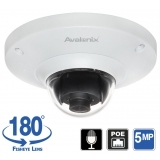 Below is our hand picked list of IP cameras with built-in microphones that allows simultaneous video and audio streaming over the network to a network video recorder or computer. 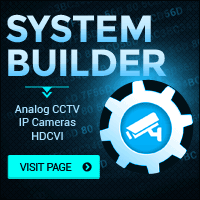 You can use IP cameras with audio as a web cam using our Smart PSS software for the PC or MAC, or our Smart Phone and Tablet App. 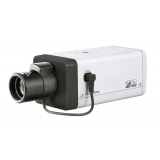 If you wish to record, you can use either our NVRs or record to a PC using any ONVIF compatible IP camera software. 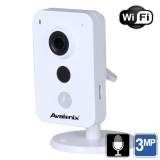 As compared to traditional security cameras with audio, the cameras below offer HD resolution video combined with audio. The microphones in these cameras is the same and hence audio pick-up range is the same - for coverage up to 30ft away from the camera.